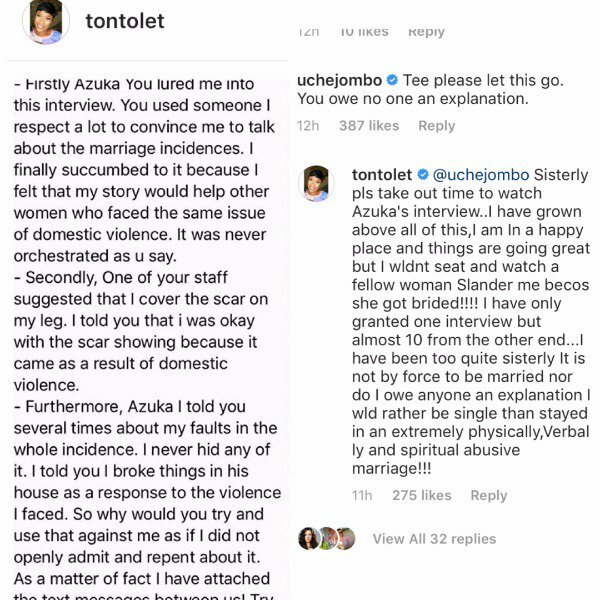 Nollywood Actress, Uche jumbo has waded into controversy between colleague, Tonto dike and media personality Azuka Ogujiuba. 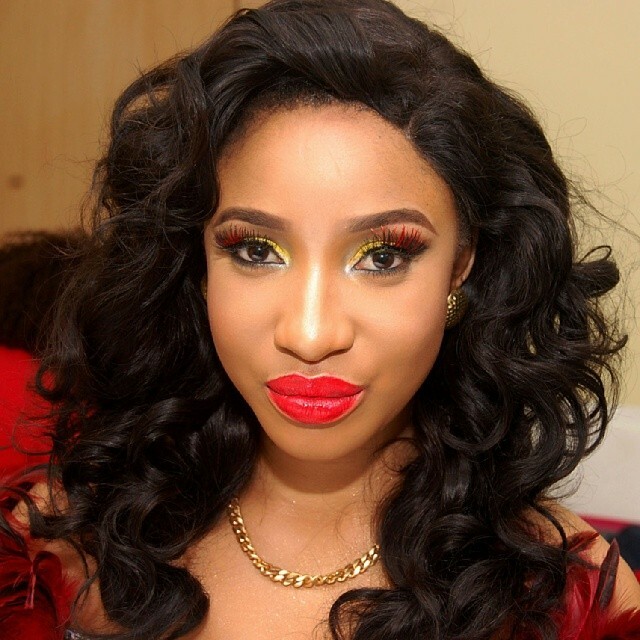 The actress adviced Tonto to pay no attention to issues raised in the media concerning her marriage. According to her, Tonto owes no one an explanation about her personal life and crashed marriage. 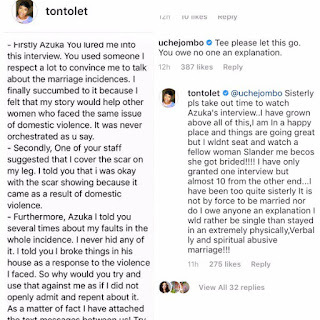 This was in reaction to a post shared by Tonto via her Instagram page, accusing Azuka of being bribed by her estranged husband to bring up the case of her broken marriage. 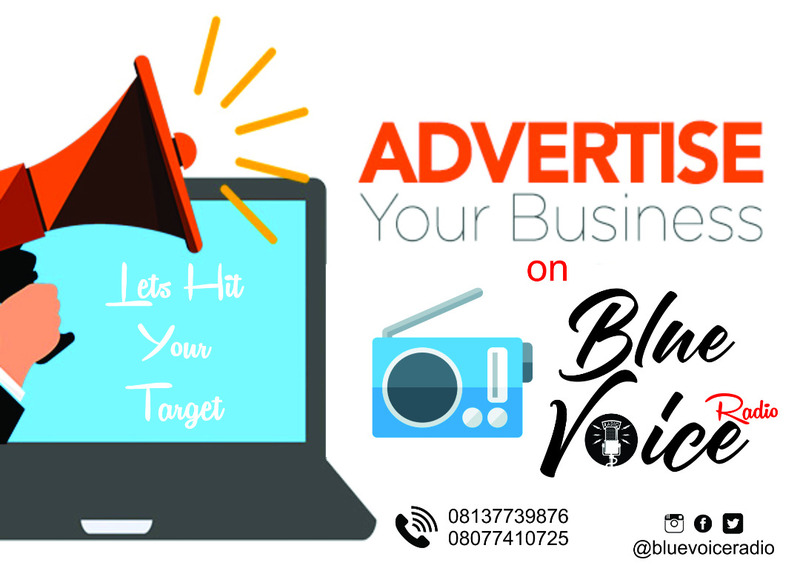 In reply, Tonto Dike said she won’t take it lightly with anyone who tries to slander her. She wrote, “Sisterly please take out time to watch Azuka’s interview. I have grown above all of this, I am in a happy place and things are going great but I wouldn’t sIt and watch a fellow woman slander me because she got bribed. “I have only granted one interview but almost 10 from the other end. “I have been too quite sisterly; it is not by force to be married nor do I owe anyone an explanation.